Did you know that currently, 897,000 people use meth from the ages of 12 and above? 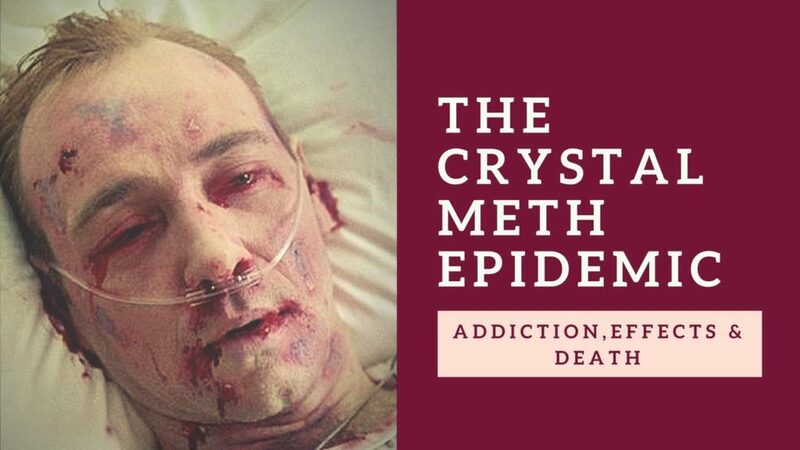 And about 80-90 percent of deaths related to stimulant related drugs are caused by meth, it shouldn’t be a surprise that meth is a dangerous hard drug and an overdose can put lives at risk or even a single intake can lead into a lifetime addiction. If you cringed your teeth from the above then I guess the question that might be popping in your head might be, how do I treat my meth addiction? or maybe how do I help someone with his or her addiction? Well in this article, we are going to give you an insight on how meth addiction is being treated. **Addicts will sometimes be referred to as “individual” in the article. How is Crystal Methamphetamine Addiction Treated? Meth is a powerful stimulant that affects the nervous system. Methamphetamine affects both the mind and body over days or years of abuse. Therefore, we will look at how meth is treated physically and also how it is treated psychologically. Physical treatment of meth has to do with the level of addiction of the individual. Long-time addicts with large consumption of meth are given inpatient treatment. Inpatient treatment has to do with the individual being taken to the hospital or a treatment center and given the necessary care and rehabilitation needed. For short-time addicts with low meth intake, they are given an outpatient treatment, this is when drugs prescribed by the treatment center or the hospital, are prescribed to the patient at home for detoxification. The home should be conducive and free from drugs including meth and alcohol. The patient should be given the necessary love and attention from friends and family. After recovery, all the prescribed drugs must be returned back. When recovery is done, the patient should be taken for therapy sessions. With withdrawal effect, the body will be in no harm, and the recovery process might take less time with the proper care. One key process patients are taken through is stabilization, where the person is being allowed to sleep for days or long hours (crashing) and given the proper nutrition and medication he or she needs. This is necessary since the body needs enough rest and recovery. Without the necessary rest, the individual will be irate and restless during therapy. This is the important part of the treatment process. The treatment process and withdrawal symptoms will cause the individual to have a very strong craving for meth, as a result, it is advisable for the addicted individual to have an inpatient treatment in a residential setting during this stage since the craving is going to be really strong that the individual has to be well restricted from getting methamphetamine. Another thing is, the individual is going to have lots of psychological issues like depression, high anxiety, agitation and so on. Also, psychological issues such as ADD and depression that were hidden by the methamphetamine abuse might begin to show up due to the individual using meth to deal with these issues before becoming addicted. As a result, anti-depressant and appropriate drugs will be prescribed to the individual to deal with these psychological problems. All these help with the psychological treatment and physical recovery of the meth addict. The same 12-step fellowship used for other drug abuse treatment is used for meth addiction. Also, motivational councilling has a great impact when it comes to psychological treatment of meth addiction.